Kirkwood J. Mckinney aka K-haos, ( K(keep) -(focused on) H(him) A(as) O(our) S(saviour) ), is a Bahamian Gospel Artist/Song-writer/Producer. 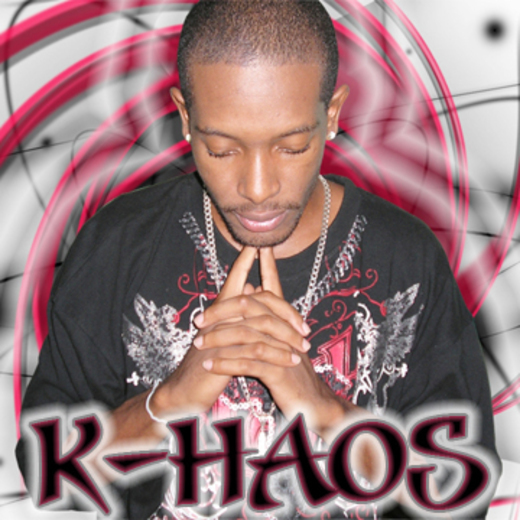 Called at a young age, K-haos had a love for music and began perfecting his music, using it to glorify GOD. His first performance was at the Colonel Hill High School, Crooked Island Bahamas. Later, he began performing at various regattas/home-comings in Crooked Island, where he was well-recieved by the audience. But, unfortunately, K-haos began to get caught up in the world, and he hardened his heart to the voice of GOD, tyring to run away from the calling GOD placed on his life. As a young adult, he strayed away from the faith and teachings of CHRIST and did his own thing. But it was not until he had two near death experiences (both being car accidents; second accident being more severe than the first), that he realized that GOD'S grace and mercy was with him. He then reflected and realized that his life was in GOD'S hands, and that GOD spared his life & saved him for a reason/purpose. With his eyes now opened to the fact that GOD gave him multiple chances at life, he chose to serve GOD and to walk according to GOD'S will for his life. Fully saved by GOD'S grace and mercy, he pledged to GOD, that the gift of music HE has blessed him with, will be used to glorify GOD, to have a positive impact/influence, also to help up lift those with wounded spirits, and to draw persons closer to CHRIST. His most recent performance was at Youth Alive 2012 at B.F.M (Bahamas Faith Ministries), where he shared the stage with other gospel artists such as DJ Counsellor, Lyrically Blessed, Positive & Milliyon from ATL. K-haos is a TRAIL BLAZER for CHRIST. I pray and strongly believe, that the music brought fort, would be a blessing to you all.